There is an incredible shift happening in our world today. Every industry is struggling to find a solid footing, the world is indeed being disrupted. Our mission at York Exponential is to prepare companies just like yours for this uncertain future. But it’s not only our mission, it’s our passion. We’ve had the chance to bring this message to communities, companies and CEO’s all across the nation. But don’t just take our word for it, listen to what others are saying about our message of Augmenting America by Embracing Disruption as delivered by our CEO, John McElligott. As humans and robots begin to share the same workspace, York Ex knows that we need to keep human safety at the top of our priorities. Unlike other companies, we add standard vision, sensors, safety and constant communication packages to each one of our cobots. Unlike typical capital automation projects, our cobots are affordable, fast to implement and easy to deploy. With the addition of our Robot as a Service model, we’ve done our best to allow anyone to benefit from advances in technology, regardless of the size of your business or scope of your project. York Ex knows hiring your first Cobot Worker can be confusing, that’s why we’re working to standardize every cobot worker. This also means every one of our employees know the same tech and can fix any problem you may have. This translates to lower costs for you and more uptime for you Cobot Workforce. Whether deploying a permanent cobot workforce or hiring a shift of cobot workers, we make everything simple with a straightforward deployment strategy and starting price point. As Responsible Disruptors, we understand the need to make sure we implement and develop technology, with humans at the center. We believe technology represents an incredible opportunity to increase human capabilities, so we are intentional about bringing everyone along for the ride. 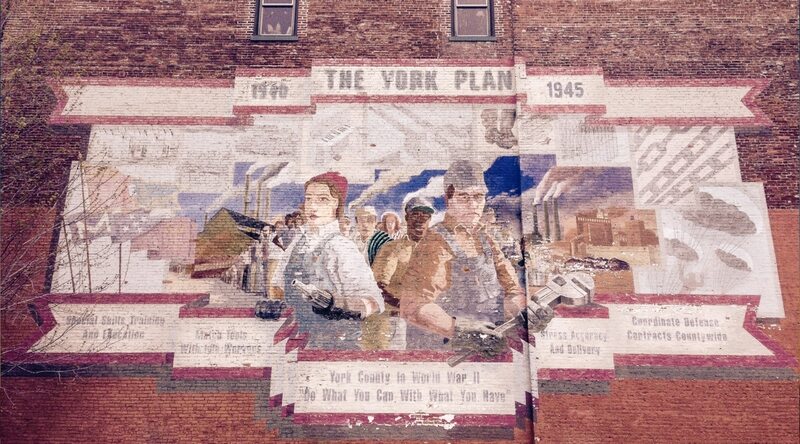 YorkEx CEO John McElligott talks about the original York Plan of the 1940s - the plan the saved the world.